As few of my post by now you should have an idea what you should do next with the awesome feature that was built-in. I don't have a reason to remove it from the operating system. But in some cases, you might want to remove it to limit the number of item running on the operating system. You can do it by 2 approach, the first approach will be using server manager to remove the feature or the 2nd one will be using the powershell method. They will be 2 steps for removal, but if you do run on the production environment make sure 2 of the item I have mention below is fulfill. First is when you try to remove the feature, the size of the storage will increase, so please make sure you have the enough capacity to cope for those. Second, make sure you have the the plan downtime.As the removal process will required system reboot, before the settings can reflect. a)Unoptimize the storage by issuing the command start-dedupjob -e: -type unoptimization as what you have see in the screenshot below. The removal process will take sometime depending on the storage usages and also your hardware specification. 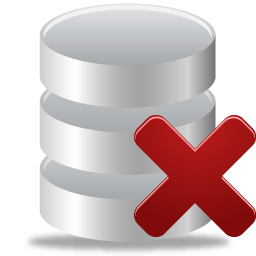 b)After the unoptimize process finish, you can proceed to remove the features by issuing the command remove-windowsfeature -name -fs-data-deduplication. Upon the completion of the process, you will be prompt to reboot your machines. You can reboot the machine by issuing the command shutdown -f -r -t 0. Great steps! My brother told me to try this, but I am as un-tech-savvy as you can get. You've managed to walk me through data deduplication, though, so thank you! Now I'm onto my data cleanse. Wish me luck!